Sultan Abdulaziz, who became the emperor of the Ottoman Empire in 25th of January 1915 and stayed as for 15 years, was wishing to have the greatest army and navy. Now it was time for him to fulfill his dream. In 1871, he ordered destroyers and warships to England, France and Australia. One of this were the Mesudiye. The order of her production has been given to the Thames Iron Works Dockyard in England in 1871. Her production started in 1872 and completed in 1874. On December 1875 she started serving the Ottoman Fleet. She has been repaired and modified in Istanbul dockyard in 1893 and in Cenova/Ansaldo dockyard between 1898 and 1903. Turkish war ship Mesudiye has been used as a stable battery ship in order to protect mine lines in Canakkale Straits. She has been taken missions in 1887 Ottoman-Russian, 1897 Ottoman- Greek and 1912 Balkan Wars. For a lot of times, she became the admiralty ship in the peace and war times. 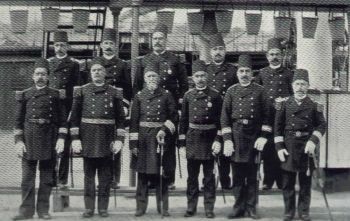 Mehet Bey, the captain of Mesudiye in 1897. He has been a Marine envoy in England. The officer on the left was the first man. The others were the doctor and the engineers of the ship. At that time it was said that the weakest point of the navy was their engineers. The armoured ship that has been completed succesful missions in Imroz and Mondros wars in Balkan War, has been taken out of active duty by the report of the navy forces commander German Admiral Souchon in 5th of September 1914. In the World War I, she has become a part of the defending lines in order to protect the mine lines as a stable artillery in the Canakkale Sarisiglar region. In the first days of the war, English and French ships started being seen around Sea of Marmara and Istanbul. The enemy's purpose was to sink the Yavuz and Midilli ships. Later this mission was given to the English submarine B11 under the command of N.Holbrook. B-11 was an old submarine aged 9 years. The submarine entered the straits in 13th of December 1914. After she passed the mine lines and come near of Mesudiye it was around 12 o'clock, lunch time. 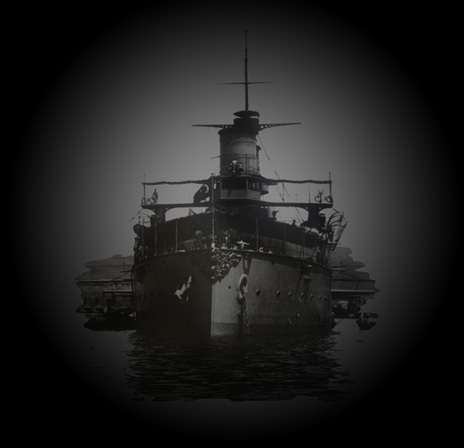 She torpedoed Mesudiye from 800 meters away at 11:58am. The machine engineers that were in the eating room has been killed by this shot. 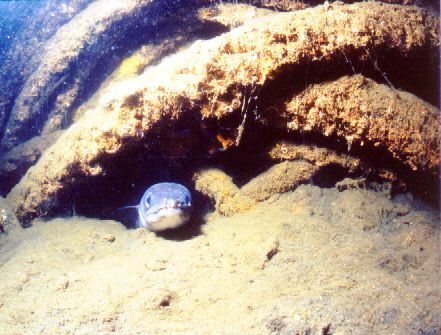 With the second torpedo sent from the submarine, Mesudiye sunked completely. She has been sunked by english submarine B11 in 13th of December 1914. 10 officers and 15 private has been killed. The loss of this warship has been the first loss of the Ottoman Navy in the War. This was the first time of a submarine sinking an enemy vessel. Because of this succes, Holbrook had been given the Victoria Cross medal. 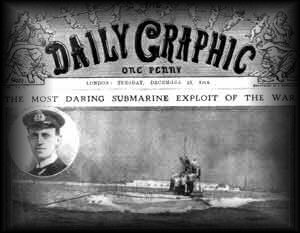 This was the first Victoria Cross gotten from both the navy and the submarine fleet. Later becoming an admiral, Holbrook died in 1976. The guns that has been scattled from the ship has been mounted to the shore batteries that has been given the same name with Mesudiye. And in the Canakkale Sea War in 18th of March 1915, these guns took the revenge of the ship by giving heavy damage to the French War Ship Bouvet. She is in 9-12 meters in Sarisigilar point. A few years before a memorial dive has been made to the wreck by the Turkish Navy and a plaque has been mounted to the wreck. He telled us that this dive was for the memories of the martyrs and not to forget about this after saying that the wreck was in a bad shape and that there was nothing much left to see. Really there was a wreck under the water that was hard to be called as a ship. Only a few of the parts were telling us that this could be a ship. After we photographed the plaque left on the wreck for the first job, we completed our short dive in 13 minutes in a 11 meters depth by 30 meters way. In the mean time We were also taking photos of the parts that remind us this was a ship and cut sea organisms around the wreck when possible, not too much. After that we were continueing our dive after giving an ok sign to the SAS divers. In the end of this short and unforgettable dive we saw the ascend buoy that were saying it was time to leave the cold waters of the straits.